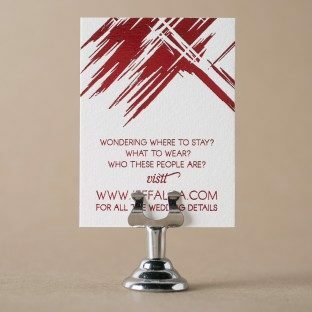 Wedding website cards can be a cost effective and environmentally friendly way to share information with your guests. 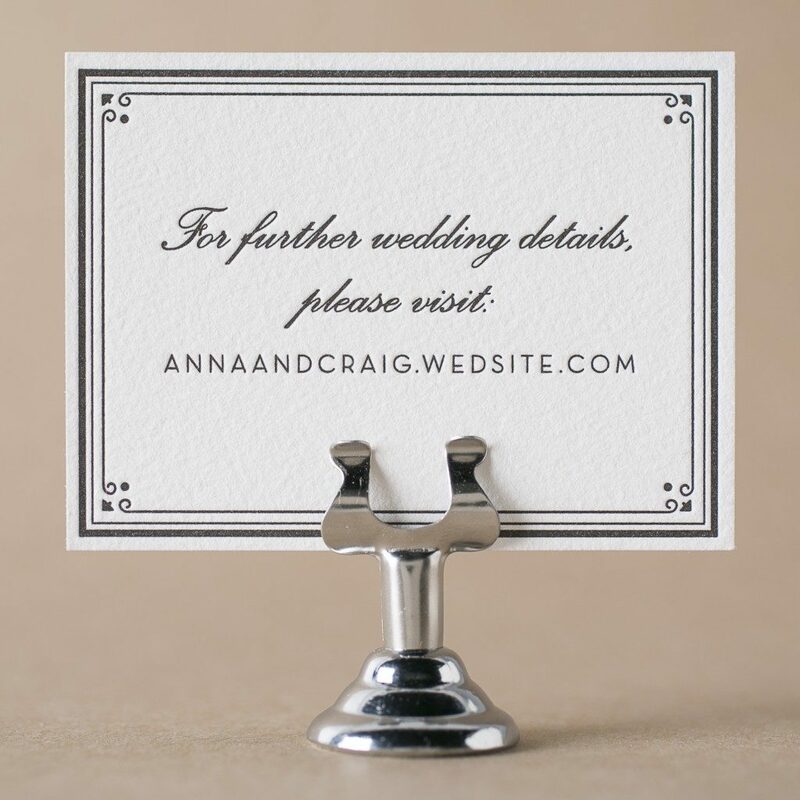 It’s most formal and traditional to keep your invitation free from url’s, so a website card enclosure is a great way to communicate your wedding website while still staying true to traditional etiquette advice. By providing a website card, you can constantly add online updates for your guests without needing to have all of the information surrounding your wedding weekend available when you print your invitations. 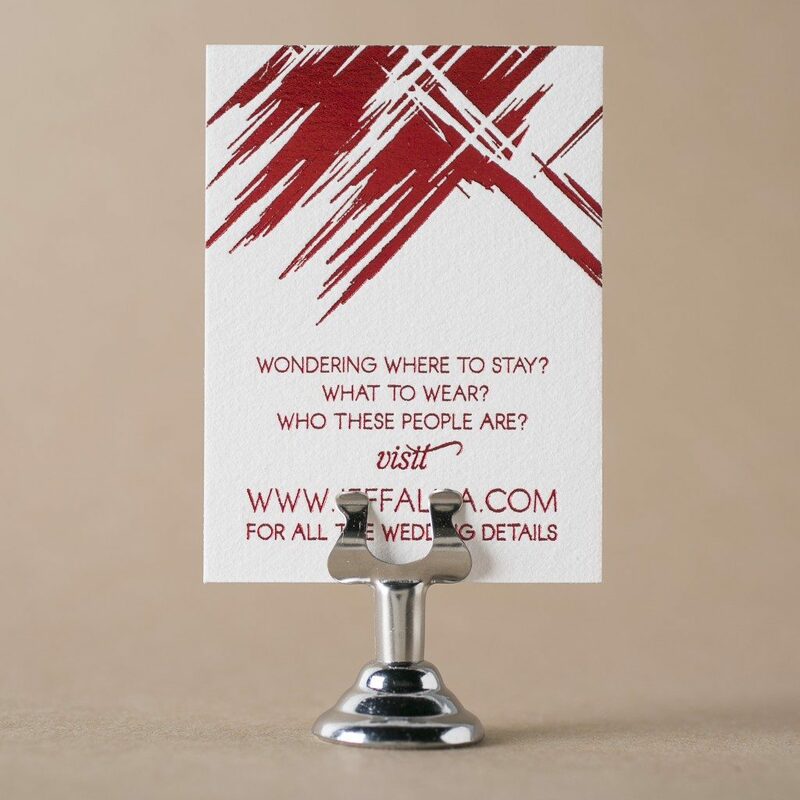 These cards are usually small and sweet — typically the size of a place card. 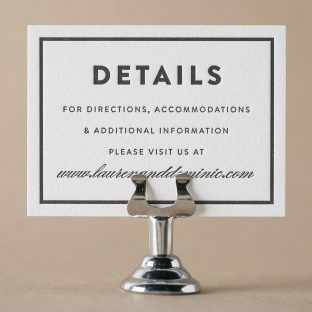 Your wedding website cards can simply list the link to your site, or you can elaborate on what a guest might find, such as directions, lodging information, or even reply information. 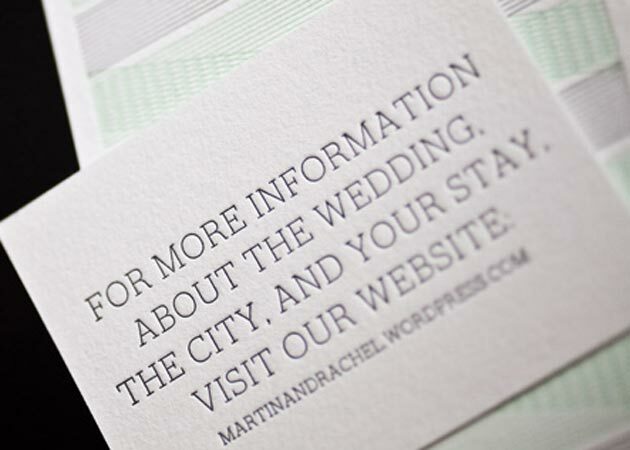 Be sure to keep the information on your wedding website up-to-date. 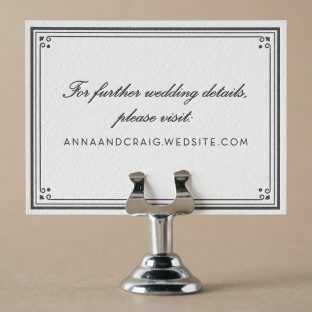 A wedding website is also an appropriate place to list your gift registry, but make sure that your registry isn’t the first (or only) thing your guests see.